Embrace this season's retro trend with this classic slingback from Top End. The V-cut top line gives this shoe its vintage feel, while the simple silhouette retains a timelessness that will look gorgeous year after year. 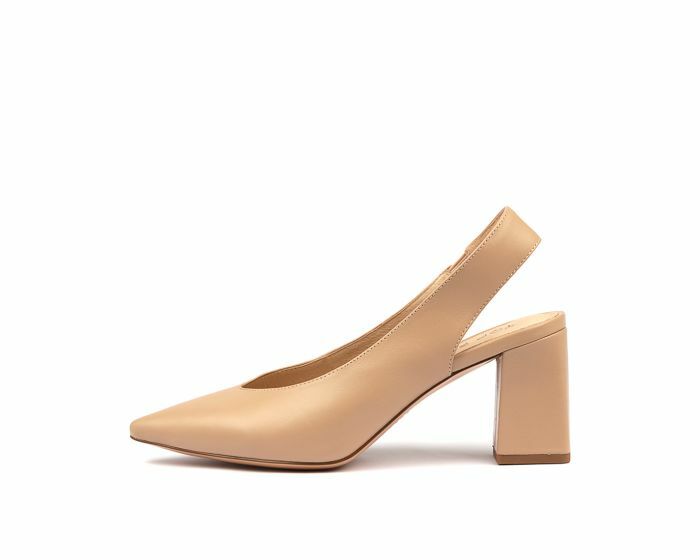 Ideal for professional looks or nights out on the town; the block heel keeps this shoe wearable in every setting!